Patagonia gives employees throughout our worldwide operations a number of interesting opportunities to support environmental work. 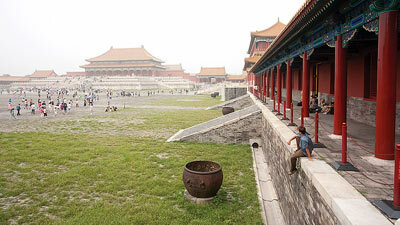 Learn about some of them here. After many years of giving money to activists, we realized that if we could share profits, we could also supply time and muscle. Many Patagonia employees were inspired by the work of the grassroots activists we supported so, in 1993, we created the Patagonia Employee Internship Program. Since 1993, Patagonia employees at our headquarters and store in Ventura have staged an annual 5K community fun run with all proceeds going to local environmental nonprofit groups. This year’s Salmon Run will benefit SOAR, which is a non-profit grassroots group of citizens in Ventura County, California who are dedicated to keeping Ventura County from following the same urban sprawl pattern that has plagued the rest of Southern California. Last year, over 400 people came out and with support from other companies that donated products for a silent auction and raffle, we raised over $10,000 for Los Padres Forest Watch which is the only nonprofit organization working to protect wilderness landscapes, wildlife, free-flowing rivers, and the great outdoors throughout the Los Padres National Forest. 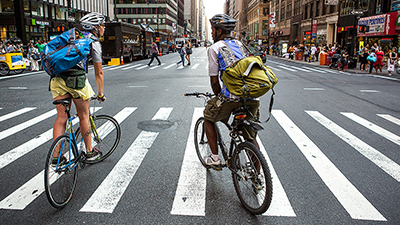 Every June, our bicycle-loving employees throughout the company gather to celebrate and encourage sustainable commuting to work. This year, our colleagues in Ventura, Reno, and throughout our retail stores rode their bikes 15,036 miles during the week - a 25% increase from last year. Each mile that we rode during the week was matched with a $1 donation to a local bike advocacy group. 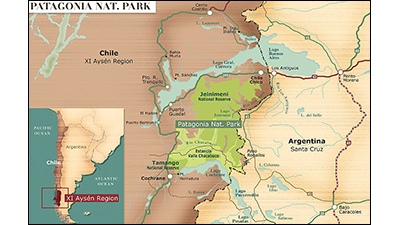 In addition to performing the many tasks required to run a successful outdoor clothing company, 55 Patagonia employees have traveled to Chilean Patagonia at company expense to spend three weeks helping to restore a former sheep ranch and create what will soon become Chile’s newest national park. 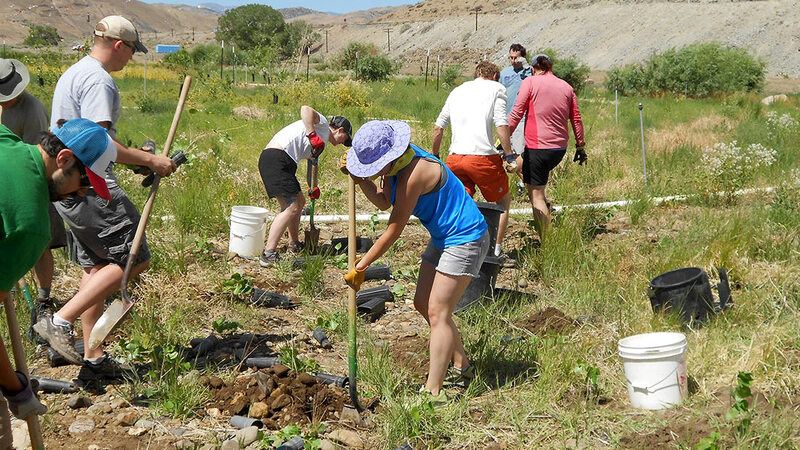 Patagonia employees donated more than 1,700 hours of labor to various environmental groups through our employee volunteer program this year. 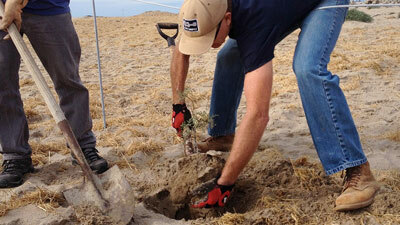 We planted trees, cleaned up beaches, wrestled with invasive plants and more. 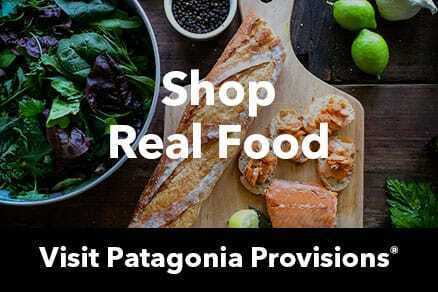 At Patagonia, we consider it our responsibility to give back to our communities and the environment. We also enjoy getting dirty for fun, but think it’s even more important doing so in protecting the places we love. Our colleagues in Reno helped Sierra Buttes Trail Stewardship restore lands near Lily Lake and raised $1,000 to help fund construction of the Long Lake Connector Trail. Another group from our distribution center headed south to Lee Vining to help the Mono Lake Committee restore native vegetation. 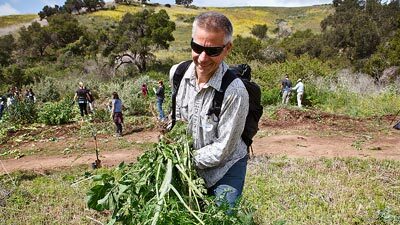 In Ventura, volunteers cleaned up an illicit grow site and an informal shooting range in the Los Padres National Forest with long-time partner Los Padres ForestWatch. Others worked with the Channel Islands Marine and Wildlife Institute, helping staff to rehabilitate sick and injured sea lion pups that had to be rescued from the beach. Despite having to work around more complicated schedules, store employees also lend a hand to nonprofit groups in their communities. San Francisco store staff planted trees with Friends of the Urban Forest, Austin staff helped the Colorado River Alliance pick up trash, and St. Paul store employees pulled nonnative plants and sowed oak acorns with Great River Greening. Employees from our Ventura offices got their hands dirty in April 2012, when they spent the morning pulling weeds and planting 600 native plants in the San Marcos Foothills Preserve near Santa Barbara. They worked alongside employees from Horny Toad, Deckers, Vapur, REI and Channel Islands Outfitters. Organized by The Conservation Alliance, The Backyard Collective brings together employees from its member companies for a day of environmental action. Work was followed by lunch and a raffle. Our Miracle Grants program was conceived to share the excitement of the company’s environmental grant giving by involving Ventura-based employees directly in the process. Employees in Ventura are given the chance to nominate an environmental group they think is doing especially valuable work that could benefit from an unsolicited check for roughly $5,000. Members of each department read their colleagues’ nominations, and then they vote. This year, 11 environmental groups shared $50,000 and the cash was just part of the benefit. Employees were also given the opportunity to volunteer eight hours of their time, on Patagonia's dime, working for their selected group. 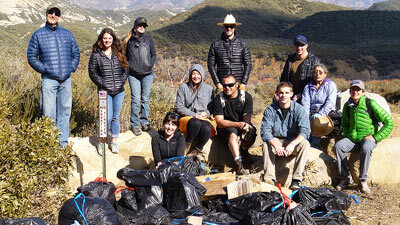 As a result, the Ojai Valley Land Conservancy received help with the Ventura River Steelhead Preserve, Friends of the Ventura River got an assist restoring sand dunes at Surfer’s Point, and VCCOOL, a nonprofit dedicated to engaging Venturans to lower CO2 emissions, received help with its website from Drew Story, a member of our web team. In addition to giving the VCCOOL site a new and more functional look, Drew spent a day training their entire organization on web software and wiki pages. Though Patagonia doesn't celebrate Martin Luther King Jr. Day as a paid holiday, in the spirit of Dr. King, the company encourages employees to volunteer for half a day with nonprofit groups. In 2012, Ventura-based employees spent the morning of MLK Day working with four groups of various persuasions. Twenty or so drove up to an illegal shooting site in the Los Padres Forest to pick up microtrash – in this case bits of glass, clay pigeons, bullets and refuse of every type – with Los Padres Forestwatch. Fifteen demolished an old structure, weeded, planted, painted and netted aviaries for the Ojai Raptor Center. Thirteen served lunch at the Ventura County Rescue Mission, and another group pulled weeds in the recently minted Ventura River Steelhead Preserve with the Ojai Land Conservancy.